The Toyota Corolla has always been a popular model among those on a budget, those learning to drive, or simply people who don’t need a large vehicle. The Corolla is known for its excellent efficiency, styling, and features. While it has frequently been described as a smaller version of the Camry, the Corolla is a special model in its own right. You can enjoy a sporty interior and driving feel or maximize fuel economy depending on the trim level. Thanks to its low starting price, even a fully loaded Corolla will fit in most people’s budgets, giving you the chance to drive a reliable Toyota around Virginia without breaking the bank. The 2019 Toyota Corolla is offered in six distinct trim levels: L, LE, LE Eco, SE, XSE, and XLE. The base L comes with a 6.1-inch touchscreen, a CD player, automatic emergency braking, a 60/40-split folding rear seat, Bluetooth®*, 15-inch steel wheels, a tilt-and-telescoping steering wheel, rearview camera, automatic high beams, adaptive cruise control, LED headlights, a height-adjustable driver seat, a six-speaker audio system, forward collision warning, pedestrian detection, lane departure warning, and more. Drivers who choose the LE will receive a rear armrest, keyless entry, automatic climate control, heated mirrors, upgraded upholstery, metallic cabin accents, heated mirrors, and variable intermittent wipers. The LE Eco gains special 15-inch wheels and tires, aerodynamic enhancements, and a different suspension tuning. The XLE offers a sunroof, LED taillights, a 7-inch touchscreen, a power-adjustable driver seat, leather-wrapped steering wheel, satellite radio, LED daytime running lights, HD radio, keyless entry and ignition, heated front seats, an upgraded driver information display, navigation system, and upgraded headlights. The SE comes with SofTex upholstery with cloth inserts, Sport front seats, a sport-style gauge cluster, bumper-mounted LED daytime running lights, and a leather-wrapped steering wheel. The top trim, the XSE, adds paddle shifters, full SofTex upholstery, a power drivers seat, and heated front seats. While the Corolla didn’t arrive in the United States until 1968, it was introduced to Japanese drivers in 1966, meaning that it has now been around for a full five decades. During this time, the Corolla has evolved from the smallest vehicle ever to grace the American Toyota lineup to a much more spacious but still small sedan that is perfect for those who love efficiency and affordable pricing. To make sure that your Toyota Corolla meets your needs in every way, talk to the team at Warrenton Toyota. Our friendly staff will work with you to configure a new Corolla or pick from our extensive selection of used and certified pre-owned models before helping with the paperwork and financing. Thanks to our onsite service center, you never have to worry about finding a mechanic that has experience working on Corollas. 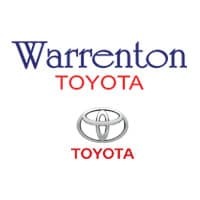 Experience the Toyota Corolla today at Warrenton Toyota in Warrenton, Virginia.